Nigeria is largely a consumption-based economy with a very low manufacturing base. Most local and multinational businesses rely on imports for sourcing a significant percentage of raw materials, with minimal value addition (mostly packaging) taking place in Nigeria. With purchasing power still low to help many firms break even, one of the options being explored by many is to design such products locally and produce from China. FEMI ADEKOYA writes. Beyond patriotism, encouraging domestic production aids business for the manufacturer, the supply chain, the end-user, and the economies, large and small, that it exists within. However, the appeal to produce locally is easily threatened by challenges of infrastructure, low disposable income, unchecked competition from foreign goods, mostly sub-standard but appealing because of price, quality and access to cheap finance. 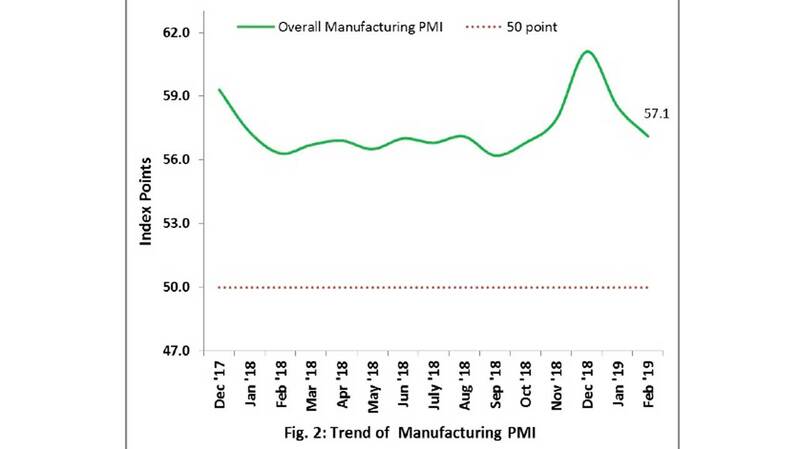 Considering that key economic factors like labour, population and capacity to buy, used by any investor to determine the availability of a market favour Nigeria, the concerns remain that the Nigerian manufacturing sector is operating below capacity due to several challenges. For local footwear designers like Afolabi and Emmanuel (not real names), producing for the local market requires ability to scale quickly in order to meet consumers’ specification in terms of sizes and design, constant electricity and newer technology to aid the processing of the raw leather and finishing of the final product. To compound their woes, they have to also compete with imported and smuggled shoes from China and neighbouring African countries. For Chinese exporters, saturation in traditional markets means looking for greener pastures elsewhere, particularly in the emerging markets of South America, including Brazil, with its 300-million-strong population, and Africa, especially Nigeria with population estimated to be rising to 200 million. Indeed, the World Bank trade statistics for 2017 showed that 88.2 per cent of total footwear imports come from China, accounting for $115 million, while the highest export for footwear within the period was to United States valued at a paltry sum of $8,461.68. For the textile sector, the Nigerian Textile Manufacturers Association estimates a yearly bill of $1.2 billion from smuggled apparel. 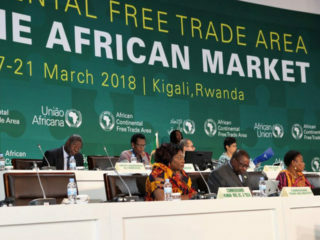 There are concerns around the recent signing of the pact forming the African Continental Free Trade Area (AfCFTA) in Kigali. Stakeholders within Nigeria’s textile, apparel and footwear industry are convinced that if the Federal Government signs the agreement, it would have an adverse effect as it could accelerate the importation of cheaper imported textiles and garments. According to industry stakeholders, operators in the sector lack funds to re-tool and upgrade their machines to newer models that can aid efficiency and profitability. With access to local raw materials (cotton in the case of textiles and garments) becoming limited as a result of insurgency in some parts of the Northeast, which has reduced growing of cotton in the region, many operators have resorted to using other variants available through petrochemicals. 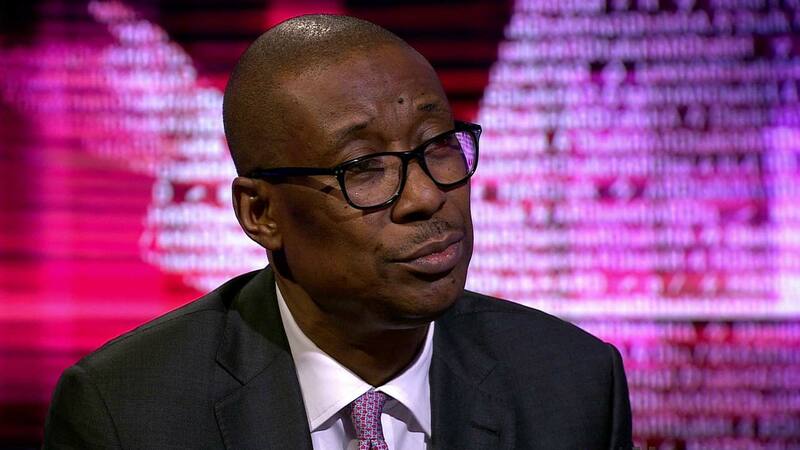 Similarly, they alleged that the special intervention fund by the Central Bank of Nigeria (CBN) is not reaching the real stakeholders as modalities to receiving the funds were yet to be determined. The Chairman of Textile Apparel and Footwear Sectoral Group (TAFSG) of the Manufacturers Association of Nigeria (MAN), Alhaji Muhammad Kabir Haruna, who is also a Director of the FAMAD footwear manufacturing company, stated that apart from having to deal with infrastructural challenges that limit competitiveness in Nigeria, many firms do not get patronised by the government nor its agencies. According to him, getting government agencies, especially those under the ministry of interior to procure their footwear from local manufacturers remain herculean as preference for imported footwear remains high. “When you are manufacturing in Nigeria, you have so many things to consider— power, water, roads among others. In other countries, these are even taken for granted, because they are available. 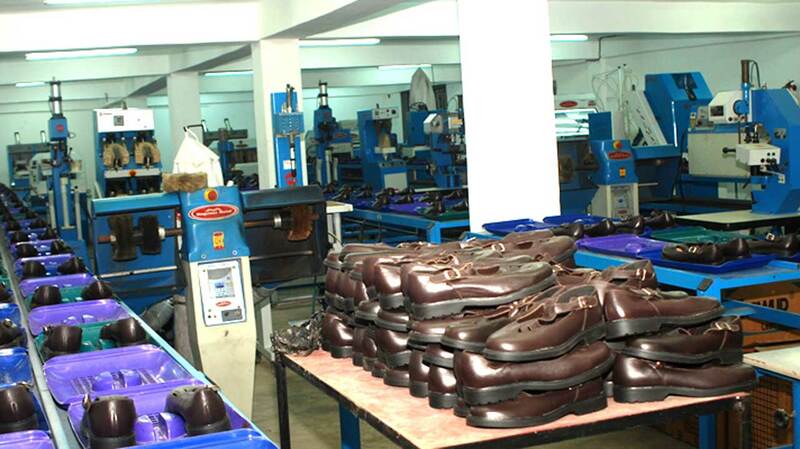 For the footwear industry, we also have to deal with the influx of foreign-made footwear, especially those from China. “Despite the Executive Order 003, government agencies find it difficult to patronise local manufacturers. We have exhibited our products, which went through various checks and quality control, and we came out top; yet, they are not open to patronising us. “Now in production of army footwear, there are so many parameters and standards by the United Nations, and you have to meet them. “So, for example, if the army goes on the war front, and a soldier is pierced and injured by a thorn, it affects his capacity to perform optimally, so for that, they need leathered soles and everything, something we can produce in Nigeria, but they took it to Aba, so that if they say they patronise some people in Aba, and they failed, they will say it is the Nigerian manufacturers’ fault”, he added. Beyond challenges with local patronage, he explained that competition with second-hand imported shoes is another problem faced by manufacturers. “Beyond textiles and clothings, there is the influx of second-hand shoes, you may not know it but, in some places, the second-hand shoes imported from God knows where, are even retailed higher than our own brand new locally produced footwear, that is in spite of the health hazards that is inherent in these second-hand shoes. “It is easy in second-hand clothes, you can boil your water, put all the disinfectants and everything and sanitise them before you start wearing, but in the case of footwear, you just have to dust them, shine, and wear them. You don’t know the last user neither his health status”, he lamented. For textile manufacturers, it is not so much of a different story as many institutions, especially primary and secondary schools opt for foreign apparels, while some textile materials are simply designed and mass produced in China. Until the recent intervention of the Federal Government with regard to gas pricing for electricity used by textile manufacturers and the Central Bank’s forex restriction on imported textiles, the industry has continued to operate below 40 per cent of its capacity. According to the Chairman of MAN Gas Users Group, Dr Michael Adebayo, the growth of the manufacturing sector is being hampered by the huge burden of energy crisis caused by power outages and high cost of petroleum products, adding that many factories have stopped production due to the exorbitant and dollarisation pricing of gas. He expressed optimism that the revised gas policy would aid improved productivity in the textile and other allied industries. “Within this year, we plan to increase our shifts and employ more people. A lot of companies have shut down operations due to the high cost of running their plants, coupled with the effects of smuggling on the business”, he added. Similarly, the Nigerian Textile Manufacturers Association (NTMA), also urged the Federal Government to review some of its incentives to foreign investors, in order to promote growth of local manufacturers and a sustainable economy. Hamma Kwajaffa, the Director-General of NTMA said that some of the incentives set to attract Foreign Direct Investments (FDIs) to the country were detrimental and posed a threat to the survival of many local textile manufacturers. “We decry the proposal that operators, who invest a minimum of 10 million dollars in local cotton, and textile garment industry and employ 500 direct Nigerian workers, can import fabrics worth 50 per cent of their operation levy free for a period of five years. “We textile manufacturers in the country have set a target to boost our production and also a 100 per cent off-take of locally produced raw cotton. “What happens to our own cotton produce? Will the farmers wait for you for these five years? With the proposed policy, that means you are discouraging cotton production and invariably the value addition to the textile industry. “After all, there are investors in the country with more than one billion dollars investment such as Sunflag Ltd., UNTL Ltd., which have above that in the textile industry. “The investors that are being encouraged to come in with finished fabrics would kill local manufacturers and hinder our quest to attain global competitiveness. “If new investors are allowed to import fabrics duty free and vat free, it will infringe on the planned 1.7 billion metres of finished fabric sector target programme for the textile industry,” he said. 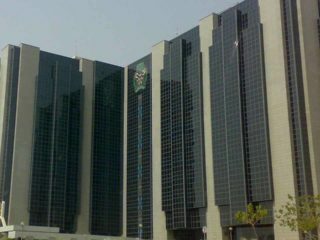 The Central Bank of Nigeria (CBN) earlier in March, placed a ban on access to foreign exchange to importers of textile materials in the country. “Effective immediately, the CBN hereby place the access to FX for all forms of textile materials on the FX restriction list. Accordingly, all FX dealers in Nigeria are to desist from granting any importer of textile material access to FX in the Nigerian foreign exchange market”, CBN Governor, Godwin Emefiele said. According to the CBN governor, Nigeria currently spends over $4 billion annually on imported textiles and ready-made clothing. He said the potential market size of the domestic textile industry is over $10 billion. The erstwhile textile industry – which had companies such as United Textiles in Kaduna, Supertex Limited, Afprint, International Textile Industry (I.T.I), Texlon, Aba Textiles, Asaba Textile Mills Ltd, Enpee and Aswani Mills – was the largest employer of labour in Nigeria after the public sector, contributing over 25 per cent of the workforce in the manufacturing sector, according to Emefiele. The industry was supported by the production of cotton by 600,000 local farmers across the country. He said various operational challenges led to the decline of the sector, leaving only the current 25 textile factories, which are operating below 20 per cent of their production capacities with a total workforce of less than 20,000 people. The apex bank governor said a range of strategies would be put in place to check the activities of smugglers, stating the menace of smuggling is a threat to efforts towards achieving self-sufficiency in textiles manufacturing in the country. Citing the consequences of using a one-size fits all solution to address trade issues, the Lagos Chamber of Commerce and Industry (LCCI) has stated that the N5 trillion textile industry needs a combination of trade and monetary policies to function efficiently. According to the chamber, the starting point is to strengthen the capacity of domestic industries, enhance their competitiveness, considering that the textile industry has been a beneficiary of several fiscal incentives and protectionist measures over the years, yet remains in stagnation. “The starting point is to strengthen the capacity of domestic industries, enhance their competitiveness, and reduce their import dependence as espoused in the Nigeria Industrial Revolution Plan [NIRP]. “More importantly the power issue needs to be addressed. It is almost impossible to achieve rapid industrialisation without resolving the issue power and the deficit in key infrastructures. Textile production is energy intensive. This is a high energy cost environment and it is very difficult for any energy intensive sector to survive”, the chamber’s Director-General, Muda Yusuf said. 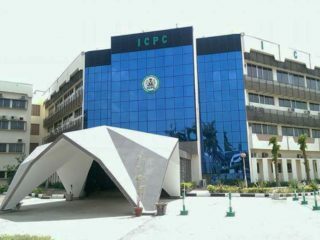 To aid the growth of the sector, the LCCI urged the implementation of the executive order of the president, that all uniforms of military and paramilitary institutions should be made from textiles produced in Nigeria, saying this is a low hanging fruit that could be explored while the issue of high production cost is being addressed. “Compelling the citizens to pay exorbitantly for systemic inefficiency is not an appropriate policy option. Such disposition imposes high welfare cost on the citizens, promotes unethical practices in the economy, promotes the growth of underground economy, leads to the loss of revenue to government, and results in job losses. It is an economic management model that is repressive and not sustainable. “There should be collaboration and coordination between the CBN, the Finance Ministry, Budget and Planning and Trade and Investment on trade policy issues. The boundaries of monetary policy need to be properly defined. Exclusion of sectors from the forex market is not a monetary policy issue. It is a trade policy matter. “Monetary policy is about managing liquidity [or money supply] to influence the direction of credit, exchange rate and inflation. Trade policy formulation is not within the remit of the CBN. It is an inter-ministerial responsibility involving the Finance, Budget and Planning, Industry, Trade and Investment Ministries”, Yusuf added. While it may appear that China is losing the competitive edge in mass production due to lingering trade war as well as rising production and labour costs, according to the Textile Industry Chamber of Commerce (CCOIC), there is the need for Nigeria to review its trade strategy with agenda focusing on addressing key infrastructure needed to drive manufacturing. 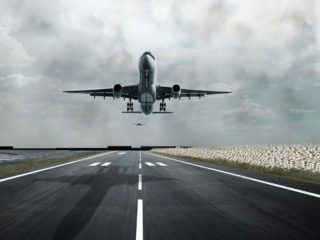 As the LCCI noted, the Nigerian manufacturer will neither compete favourably nor get a chunk of consumers’ disposable incomes irrespective of incentives given if issues of infrastructure as well as patronage by government itself remain unresolved.